Vikings War of Clans - become a jarl and capture the north! 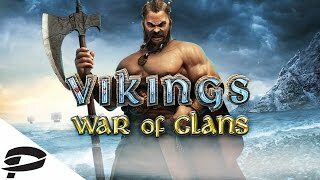 Igra Vikings War of Clans (Vikings War of Clans) on the PC. Viking Game The clan war will take players to the northern lands, where nature is harsh, and only the strongest, smartest and bravest can survive. The snowy mountains surround the devastated cities that survived from the barbaric raids, they pray to Odin that they survived another day. But not everything is as sad as it seems at first glance, the main advantage of this nation is strength of mind and courage. One soldier is worth a dozen, the main thing is to find a wise ruler who will lead them to fight enemies and be able to raise the economy of the devastated cities. iPlayer Vikings War of Clans is a great combination of multiplayer browser strategy and role-playing game. Users will be able to express themselves in various ways - to become city planners, to develop the economy and establish diplomatic contacts, and of course to try themselves as wise commanders by controlling the strongest army that will defend the newly created state. In this world, only rule is possible only by force, with the support of courageous warriors, to expand the boundaries of the city and establish the law in these harsh lands. Viking lands inhabit Yarly, chaos reigns here and everyone wants to get as many scarce resources as possible, as well as unlimited power. In order to try to become the master of the snowy lands and take control of the riches in the game Vikings War of Clans registration is required. You only need to go through it once, filling in all the fields in the appropriate form, namely, to come up with a nickname and leave an email address. It is even easier to log in through an account in one of the social networks. 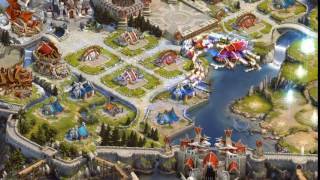 Features of the game Vikings War of Clans. In their estates they will be trained in military tricks. B Vikings War of Clans is not possible to play on a PC without developing science and gaining knowledge, users are lucky in this matter, the enemies could not destroy the scrolls of the elders, their wisdom can go to the modern ruler if he finds time to study the folios. Another feature of the game is the availability of maps, all of them 81, as they develop, from level to level, the opportunity to be transferred to new lands opens up. The newer the map, the less powerful enemies there can be on the way. Geroi is a separate storyline, it can be developed, it gains experience and knowledge. The more tasks completed, battles won and good deeds done for residents and the city. The higher the power of the character. He gains the ability to have even a smaller army to lead him to victory over the strongest enemy. The higher the level of the hero, the more artifacts and armor citizens produce for him, they give superiority over other players. Playing Vikings War of Clans on a PC is much easier if you join one of the clans. Without allies, you cannot defeat united enemies.